Given the number of cat pictures that the internet serves up every day, perhaps we shouldn’t be surprised that blockchain’s latest pressure-test involves digital cats. CryptoKitties is a Pokémon-style collecting and trading game built on Ethereum where players buy, sell, and breed digital cats. In a matter of a week, the game has gone from a relatively obscure but novel decentralized application (DAPP) to the largest DAPP currently running on Ethereum. Depending on when you sampled throughput, CryptoKitties accounted for somewhere in the neighborhood of 14% of Ethereum’s overall transaction volume. At the time I wrote this, players had spent over $5.2 million in Ether buying digital cats. The other day, a single kitty was sold for over $117,000. Wednesday morning I attended a local blockchain meet-up, and the topic was CryptoKitties. Congestion on the Ethereum node that the player was connected to was so bad, gas fees for buying a kitty could be as high as $100. The node was so busy that game performance was significantly degraded to the point where the game became unusable. Prior to the game’s launch, pending transaction volume on Ethereum was under 2,000 transactions. Now it’s in the range of 10,000-12,000 transactions. To summarize: A game where people pay (lots of) real money to trade digital cats is degrading the performance of the world’s most viable general-purpose public blockchain. If you’re someone who has been evaluating the potential of blockchain for enterprise use, that sounds pretty scary. However, most of what has been illustrated by the CryptoKitties phenomenon isn’t news. We already knew scalability was a challenge for blockchain. There are a proliferation of off-chain and side-chain protocols emerging to mitigate these challenges, as well as projects like IOTA and Swirlds which aim to provide better throughput and scalability by changing how the network communicates and reaches consensus. Work is ongoing to advance the state of the art, but we’re not there yet and nobody has a crystal ball. So, what are the key takeaways from the CryptoKitties phenomenon? Put simplistically, as the cost of trading digital cats rises, the amount of digital cat trading should go down (in an idealized, rational market economy that is). Yet both the cost of the kitties themselves – currently anywhere from $20 to over $100,000 – and the gas cost required to buy, sell, and breed kitties has gone up to absurd levels. The developers of the game have also increased fees in a bid to slow down trading. Up to now, nothing has worked. In many ways, it’s an interesting illustration of cryptocurrency in general: cats have value because people believe they do, and the value of a cat is simply determined by how much people are willing to pay for it. In addition, this is clearly not an optimized, nor ideal, nor rational market economy. The knock-on effects for the network as a whole aren’t clear either. Basic economics would dictate that as a resource becomes more scarce, those who control that resource will charge more for it. On Ethereum, that could come in the form of gas limit increases by miners which will put upward pressure on the cost of running transactions on the Ethereum network in general. For businesses looking to leverage public blockchains, the implication is that the risk of transacting business on public blockchains increases. The idea that a CryptoKitties can come along and impact the costs of doing business adds another wrinkle to the economics of transacting on the blockchain. Instability in the markets for cryptocurrency already make it difficult to predict the costs of operation for distributed applications. Competition between consumers for limited processing power will only serve to increase risk and likely the cost of running on public blockchains. Interestingly, the open and decentralized nature of blockchains seems to be working against a solution to the problem of network monopolization. Aside from economic disincentives, there isn’t a method for ensuring that the network isn’t overwhelmed by a single application or set of applications. There isn’t much incentive for applications to be good citizens when the costs can be passed on to end-users who are willing to absorb those costs. If you’re an enterprise looking to transact on a public chain, your mitigation strategy is both obvious and counter-intuitive: Use the blockchain as little as possible. Structure your smart contracts to be as simple as they can be, and handle as much as you can either in application logic or off-chain. Building applications that are designed to be inexpensive to run will only pay off in a possible future where the cost of transacting increases. Use the right tools for the job, do what you can off-chain, and settle to the chain when necessary. The easiest way to assert control over your DAPPs are to deploy them to a network you control. In the enterprise, the trustless, censorship-free aspects of the public blockchain are much less relevant. Deploying to private blockchains like Hyperledger or Quorum (a permissioned variant of Ethereum), gives organizations a measure of control over the network and its participants. Your platform then exists to support your application, and your application can be structured to manage the performance issues associated with blockchain platforms. Even when the infrastructure is under the direct control of the enterprise, it’s still important to follow the architectural best practices for DAPP development. Use the blockchain only when necessary, keep your smart contracts as simple as possible, and handle as much as you can off-chain. In contrast to traditional distributed computing environments, scaling a distributed ledger platform by adding nodes increases fault tolerance and data security but not performance. Structuring your smart contracts to be as efficient as possible will ensure that you make best use of transaction bandwidth as usage of an application scales. Solving for scalability is an area of active development. I’ve already touched on solutions which move processing off-chain. Development on the existing platforms is also continuing, with a focus on the mechanism used to achieve consensus. Ethereum’s Casper network proposes to change the consensus mechanism to a proof-of-stake system, where miners put up an amount of cryptocurrency as proof that they aren’t acting maliciously. While proof-of-stake has the potential to increase throughput, it hasn’t yet been proven to be. Platforms built on alternatives to mining are also emerging. IOTA has been gaining traction as an Internet of Things scale solution for peer-to-peer transacting. It has the backing of a number of large enterprises including Microsoft, is open-source, and freely available. IOTA uses a directed acyclic graph as its core data structure, which differs from a blockchain and allows the network to reach consensus much more quickly. Swirlds is coming to market with a solution based on the Hashgraph data structure. Similar to IOTA, this structure allows for much faster time to consensus and higher transaction throughput. In contrast to IOTA, Swirlds is leaderless and Byzantine fault tolerant. As with any emerging technology, disruption within the space can happen at a fast pace. Over the next 18 months, I expect blockchain and distributed ledger technology to continue to mature. There will be winners and losers along the way, and it’s entirely possible that new platforms will supplant existing leaders in the space. Distributed ledger technology is an immature space. There are undeniable opportunities for early adopters, but there are also pitfalls – both technological and organizational. For organizations evaluating distributed ledger, it is important to start small, iterate often, and fail fast. Your application roadmap needs to incorporate these tenets if it is to be successful. Utilize proofs of concept to validate assumptions and drive out the technological and organizational roadblocks that need to be addressed for a successful production application. Iterate as the technology matures. Undertake pilot programs to test production readiness, and carefully plan application roll out to manage go-live and production scale. If your organization hasn’t fully embraced agile methods for application development, now is the time to make the leap. The waterfall model of rigorous requirements, volumes of documentation, and strictly defined timelines simply won’t be flexible enough to successfully deliver products on an emerging technology. If your IT department hasn’t begun to embrace a DevOps-centric approach, then deploying DAPPs is likely to meet internal resistance – especially on a public chain. In larger enterprises, governance policies may need to be reviewed and updated for applications based on distributed ledger. Despite the stresses placed on the Ethereum network by an explosion of digital cats, the future continues to look bright for distributed ledger and blockchain. Flaws in blockchain technology have been exposed somewhat glaringly, but for the most part these flaws were known before the CryptoKitties phenomenon. Solutions to these issues were under development before digital cats. The price of Ether hasn’t crashed, and the platform is demonstrating some degree of resilience under pressure. We continue to see incredible potential in the space for organizations of all sizes. New business models will continue to be enabled by distributed ledger and tokenization. 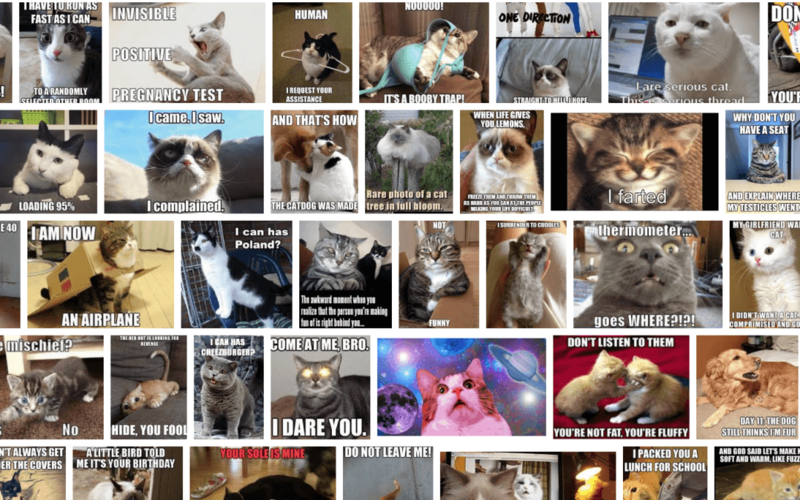 The future is still bright – and filled with cats!